Knowledge is defined as the facts, information, and skills acquired by a person through experience or education. To be human is to live to our highest potential. This is why all of us go through 3 years of didactic and practicum experiences to develop a databank of knowledge to thrust us forward into excellence. Are you someone who strives for excellence? If you are reading this post, chances are... you are! However, excellence is not attained just by finishing your entry-level education. The path to excellence is a continual one which requires constant upgrading and skills development. No matter how much time and effort we have already spent in developing ourselves, there will always be opportunity to improve and be better. Time and effort are both aspects important to self-development and enrichment. In this era of productivity, increasing documentation and commute times, and more stressful lives, there seems to be less time available for self-enrichment. You may have heard people talking about all the podcasts they listen to, but may not know what the term means or how it relates to your iPod or iPhone or Android or PC. A podcast is an audio program, like a radio show, that is made by someone and then posted to the internet for you to download and listen to via iTunes or your iPhone or iPod or Android. How to listen to podcasts. Most podcasts are free for you to download and listen to (many podcasters have introduced paid premium tiers to support their work while keeping their main podcast content free). You can find podcasts all over the Internet—they're hosted on lots of websites and a quick search at any search engine will find you lots of links. This website displays a tutorial in which you can download podcasts without iTunes. This may be helpful to those individuals that may use their PC for most of their self-study. Another way is for an individual to download the IHeartRadio app where you can search for physical therapy related podcasts or any podcast that may be important in your professional career. Which, may include investing tips, small business topics, healthcare industry related topics, etc. Podcast Addict is another application that you can download on your iphone or android device that allows access to copious amounts of podcasts both PT and non-PT related. Read on to learn all about podcasts and to discover a world of (mostly) free fascinating, fun, and educational content. Karen Litzy brings us insightful and ground-breaking discussions by some of the leaders in the field of physical therapy, wellness, finance, and entrepreneurship. Well-produced and edited, she brings that fire to the physical therapy profession through her multiple volunteer positions and her own private practice. She recently helped establish a yearly gathering called the Women in PT Summit. You will never be disappointed by the content produced. Jimmy McKay found a way to facilitate a more candid conversation about dense concepts in the world of physical therapy. Have some beers and talk! 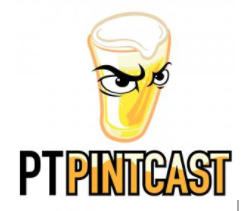 He thought, “What if we could talk to the leading minds in PT, in a relaxed and conversational format like we were sharing a pint of beer with them?” Topics vary from talks about advances in PT technology, PT success stories, Women’s Health, marketing tactics, etc. Dr. Jeff Moore, physical therapist and owner of The Institute of Clinical Excellence, takes 15 minutes each day to give his take on a wide variety of business and clinical topics. Dr. Moore has spent the past eight years working exclusively in outpatient orthopedics. He launched the Institute of Clinical Excellence in 2012 and became a faculty member with Evidence In Motion in 2015. Between these two companies Dr. Moore regularly teaches manual therapy courses around the country. This podcast created by the co-founders of UPDOC MEDIA connects you to rehab industries leaders, sharing their candid successes and failures in business and practice. As the title suggests, these hosts have gone to extra lengths to source some incredible stories. Short, straight to the point, and an interesting perspective on the lessons we might never learn through training and only experience. Another podcast created by the co-founders of UPDOC MEDIA organizes and displays inside(r) input and perspective on all the information floating around from the experts and then dissects it…figuratively. The podcast has several prominent guests lined up for interviews to help shed light on various therapeutic topics ranging from joint manipulations, functional training, business ownership while being a clinician, sports rehab and much more. 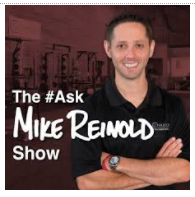 Mike Reinold, a staple in the field of sports physical therapy and fitness, provides a weekly mission to elucidate certain issues in regards to physical therapy, fitness, strength and conditioning, sports performance, baseball, business, and career advice. The atmosphere on the podcast is candid and allows the listener to connect better with show. British Journal of Sports Medicine (BJSM) is a multi-media information portal that provides original research, reviews and debate relating to clinically-relevant aspects of sport and exercise medicine. The podcast contains episodes from multiple hosts arranging multiple topics from various sources in the field. Seems to contain information without as much bias as other podcasts may interpret research within their own lens. 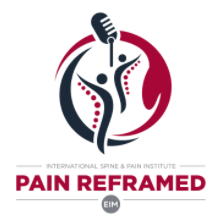 This podcast hosted by Dr. Tim Flynn and Dr. Jeff Moore, explore pain’s impact and implications on society, the healthcare industry, and how we as physical therapists can have a profound effect on our patient/clients well being. Tim, Jeff, and their incredible guests have a sustainable, multidisciplinary, international conversation on pain. 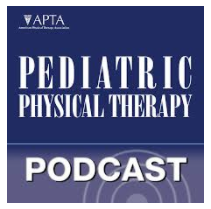 This podcast, sponsored by the Pediatric section of the APTA, is a great resource for individuals in the field of pediatric physical therapy wanting to understand the latest research by leaders in the field of clinical practice, education, and research. This podcast is hosted by PTJ’s editor-in-chief, Alan Jette, who gets at the story behind the research, including insights on clinical application, study design, and future directions. 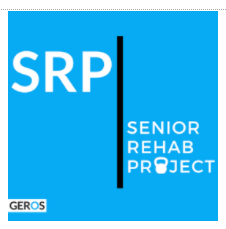 The Senior Rehab Podcast brings you helpful conversations for rehab clinicians that serve older adults. Dustin Jones, PT, DPT, CSCS, RKC, speaks with industry leaders to draw out useful, practical information for YOU - the rehab clinician. 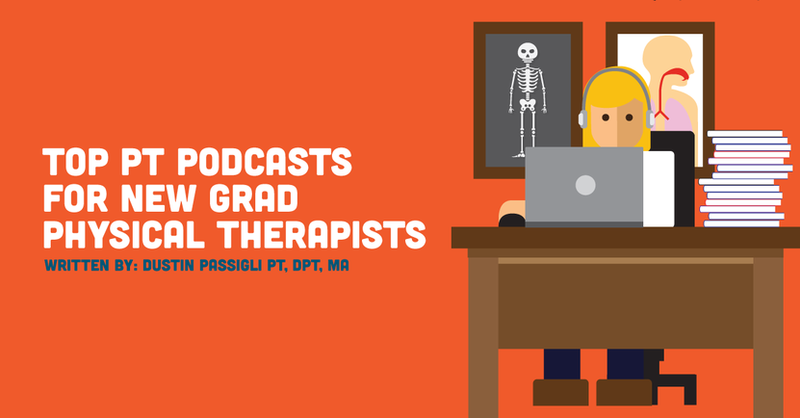 Whether you’re a physical therapist, PTA, student, or seasoned veteran, the Senior Rehab Podcast will prove to be helpful for you in your practice. 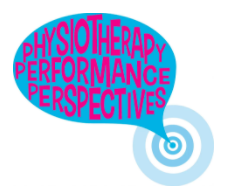 In Physiotherapy Performance Perspectives (PPP), physical therapists Jenna Kantor and Marissa Schaeffer interview physical therapists who specialize in - and love - treating performing artists. 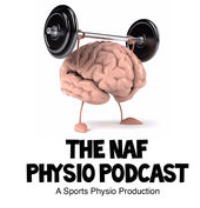 In this monthly podcast, it aims to help performing artists gain a better understanding of how their bodies works, how to reduce risk of injury, what physical therapy for performing artists entails, and how to maximize performance potential. Rob Vining and Dave Kittle use this podcast to help the listener see how technology can be used to help the physical therapy profession evolve. 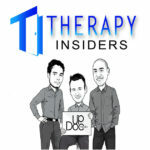 They started this podcast because they wanted to provide value to the physical therapy and healthcare world for anyone that's looking to keep a pulse on current PT/healthcare and technology trends including but not limited to research, apps, websites, tools, social media platforms, smartphones and more! No holds barred attitude, Adam Meakins, brings you podcast episodes full of critical critiques, dubious debates, quirky questions and lots of bad language! Adam does a nice job of addressing timely topics in a serious, but not stuffy, way. I appreciate the diverse topics and productive conversation with his various guests. 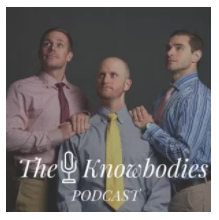 Doctors Erik Dykstra, Will Boyd, and Nick Bracciante created this podcast as a means to bridge the gap between topics in health and healthcare with general public. 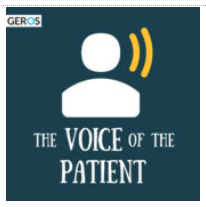 Must listen to for any and all healthcare students, professionals, and enthusiasts. 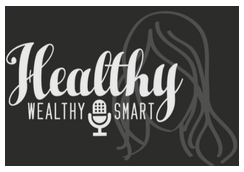 Covers all topics of health and wellness! 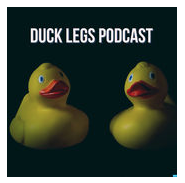 The Duck Legs Podcast is hosted by physiotherapy students (Jared Aguilar, Tyler Adams, & Dy'mire Jones), who structure the episodes around a seeking to gain wisdom from successful professionals. The podcast is focused around this quote by Jacob Braude: “Always behave like a duck- keep calm and unruffled on the surface, but paddle like the devil underneath.” We're trying to go beneath the surface to learn the tools and traits that gives our guests the mindset to overcome challenges and thrive. The podcast will be an inside look into how our guests are able to work so efficiently and impact positive change. 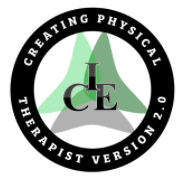 The physical therapy podcast you've been waiting for! Talus Media News delivers concise and relevant PT news from across the country. They cover everything from the ACA, healthcare legislation, and telehealth to student loans. If you're looking for a podcast that goes deeper than personal opinions on PT topics, look no further. 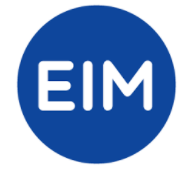 Hosted by John Childs and Jeff Moore, Evidence In Motion podcasts, provide cutting-edge programs, research, resources, and training to the world’s community of practicing rehab professionals. 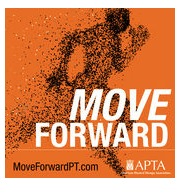 It is an excellent source for new information, learning and guidance in PT world. Move Forward Radio offers unique programming with physical therapists and other health care experts discussing various topics of interest to the public. The pros of this podcast include topics more than the orthopedic realm and include acute care, pediatrics, geriatrics, cardiopulmonary, and home health care. PT Inquest was started as a way to discuss the use of science and evidence in the practice of physical therapy. 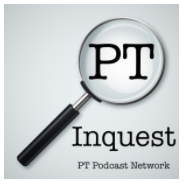 A more structured and frequent show, PT Inquest explores current research discussing strengths, weaknesses, and clinical application in an honest, open, and critical fashion. Hosted by Erik Meira and J.W. Matheson with occasional guests Jason Brumitt and Scot Morrison, the show is recorded via online chat during regular intervals. It is like listening in on a journal club conversation, hopefully making the listener think more critically about their own practice and keeping their mind open to alternate and opposing ideas. Brandon Poen and F. Scott Feil are two physical therapists who interview prominent guests within the realms of healthcare and education aimed at PTs and other healthcare providers who want to transition to education. They also show how to be effective educators from various roles as PTs to patients/ CI/ Mentor/ CEU Teacher/ Professor/Administrator. They also interview educators from other professions to observe their models to see what we can take from them with the goal to provide free and valuable content that can reach large numbers of people to help developing current and future educators. Co-hosts Sandy Hilton and Cory Blickenstaff, physical therapists who are “in the trenches” practicing in unique settings on opposite sides of US, discuss current research and topics of pain science. 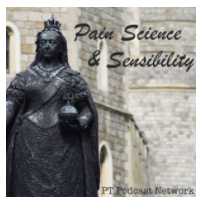 Listen in on occasional interviews of the prominent figures of pain science. Focus will be on making the information meaningful to practice in the clinic. Musculoskeletal and Sports Medicine information for those working in physiotherapy, sports therapy, sports rehabilitation, medicine and all divisions of the healthcare industry. Jack Chew and the team take a look at very specific physio topics. Their approach is VASTLY different than other shows out there. They take a good look at one topic per month and shed some critical light on it. Im guessing it’s a labor of love for them, because that’s what it sounds like. The biggest compliment you or I can give is sharing their show with a colleague, which I suggest you do. To all those wanderlust physical therapists out there...this one's for you!! 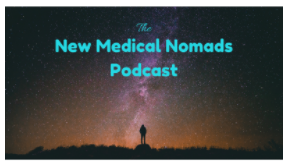 This podcast follows a traveling physical therapist, Dr. Dylan Callier, as he interviews other experts within the healthcare field to provide information for other medical travelers. 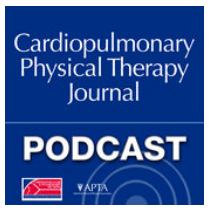 This podcast serves to help facilitate discussion and dissemination of research and clinical practice within the field of cardiovascular and pulmonary PT. 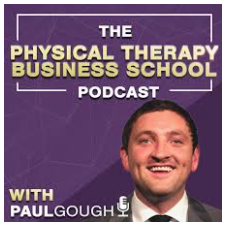 The Physical Therapy Business School Podcast is the place to have your questions answered, hear inspiring stories from the global physical yherapy community and is dedicated to helping great physical therapists become hugely successful business owners. The Clinical Athlete Podcast brings an evidence-based perspective to the realms of sports medicine, rehabilitation, and performance - with no idea or current trend beyond reproach. This podcast is a "must listen" for those who work with an athletic population... and probably even those who don't. These guys do the hard work of compiling clinically relevant literature and presenting it in a way that is clear and easily applicable. 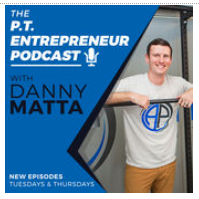 The PT Entrepreneur Podcast, is aimed to help other physical therapist and small business owners realize their unique entrepreneurial genius, and leverage it. If you're a PT or honestly any business owner/entrepreneur this podcast will have some great info for you. Doc and Jock brings together the expertise of a physical therapist and a strength and conditioning coach. The goal is to provide a one stop resource to answer your training questions. Whether you’re rehabbing an injury, working your weaknesses, or wanting to look good naked Dr. Danny or Coach Joe can help. It's the perfect length (less than 30 min) for my daily drive to work. It is a great podcast for us coaches out there to keep growing in the field of S&C. The mission of The Voice of the Patient is simple: To change lives, that is, to improve the care and quality of the lives we touch by improving healthcare through not only hearing, but truly listening to the voice of the patient. Now, subscribe and listen… Happy listening! If you haven’t started regularly subscribing—and listening—to podcasts yet, you really should. These bite-size bits of content are perfect for staying current on everything you’re interested in—from business and clinical best practices to fitness and nutrition advice. This really is a relatively encompassing list of the most popular podcasts in PT. We need more minds to get involved in this medium. There is one grand function podcasts perform that arch above all of these and more. And it is the single most important reason why you should seriously consider starting a podcast. They connect content creators with content consumers, and they do it in a way that cannot be duplicated by any other content medium. If you recommend any other podcasts not listed, please let us know!! !